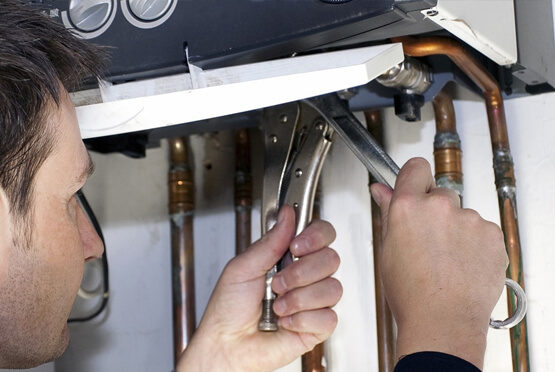 As a home or business owner, getting reliable boiler servicing providers is tough if you are not on a cover plan. To save time, we offer fast response, free callouts and no upfront costs whenever you want us to service your boiler. Cover schemes never guarantee a quick response or customer happiness, but we do. We have what it takes to service any boiler model or brand to keep you comfortable and warm. We have a 24-hour call service that helps you locate qualified technicians near you. Our support team will dispatch professionals, and they will always let you know that they are on their way. Trust us when we say that 30 minutes are enough to get to you. Gas safe technicians who are always on continuing training. A broad range of boiler servicing options in one place. Top class options for commercial and domestic clients. Unlike amateur service providers, Eco Efficient Nottingham employs highly trained and vetted boiler and heating system engineers. Not only are they insured, but they adhere to all health and safety standards. We don’t rush our services, but we discuss all available options and alternatives. We want you to save money while enjoying proper boiler servicing quality. We offer guarantees since we believe in our craft. Our technicians will leave your system functioning as it should, and they will tidy up after themselves. For your boiler to operate optimally, you need quick attention if you notice strange noises, low pressure and hot pipes without water. We can power flush the system to ensure smooth flow of water through the pipes. We ensure that your radiators and crucial components are fault free to give the appliance a longer lifespan. Don’t wait for sludge to slow down your new system, but let us show you how it’s done. We are experts when you want flue gas testing or carbon monoxide leak tests done any day, any time. Our boiler system servicing covers all areas around Nottingham. Don’t worry if you are in a remote area of Bingham, Hucknall, West Bridgford, Beeston or Carlton. Your call out is attended to fast and your questions answered by polite and responsive staff. We dispatch the best engineers to service your boiler even if it’s in an emergency situation. Don’t worry about odd hours or public holidays; we come to you whenever you need us. Whether you have a modern energy efficient boiler or you still make do with a conventional model, our expertise allows us to carry put services while observing high standards. Don’t do-it-yourself since you might cause more damage or miss out something. We are more than happy to be your qualified service provider moving forward. Our loaded mobile response vans come with all types of tools and equipment, and we will service your system the same day you call. Our technicians not only walk you through possible processes, but they also explain our quotes to the best of your satisfaction. Call us today and let’s discuss how we can keep your system rung with our exceptional industry knowledge and prowess.